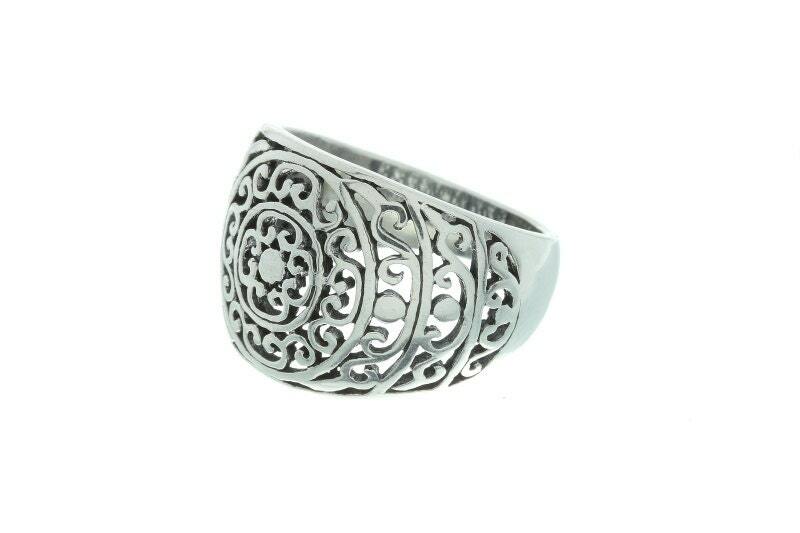 Stunning filigree sterling silver ring. 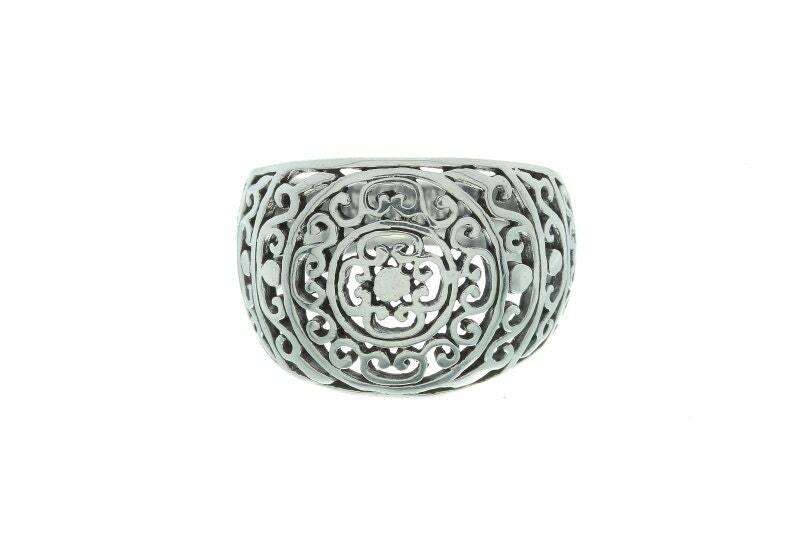 Wide silver ring with beautiful intricate designs covering the piece. Dark Patina that makes each cut really stand out.